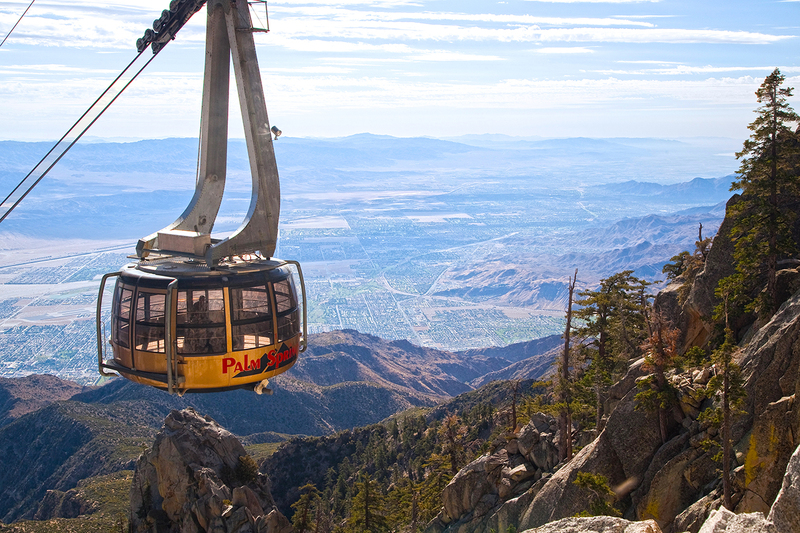 PALM SPRINGS, CA - The Palm Springs Aerial Tramway constructed in the rugged Chino Canyon on the north edge of Palm Springs did not just happen. 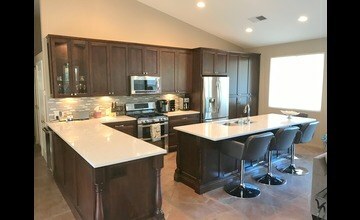 It required foresight, planning, financing and most of all vision. As a young electrical engineer, Francis Crockerâs dream began in 1935 while he was on a trip to Banning, California, with newspaper publisher Carl Barkow. Mopping his brow in the heat of the day, Crocker gazed on longingly at the still snow-capped peak of Mount San Jacinto, 10,834 feet high and longed to âgo up there where itâs nice and coolâ At that moment, âCrockerâs Folly,â as it was soon dubbed by one newspaper woman, was born â a tramway up the sheer cliffs of Chino Canyon. Enlisting the aid of desert pioneer and co-manager of the famed Palm Springs Desert Inn, O. Earl Coffman Crockerâs dream became a plan. Even though the enthusiasm for the tramway idea was high locally, political roadblocks caused numerous disappointing setbacks. Twice a tramway-enabling bill passed the California State Legislature, only to be vetoed by then Governor Culvert Olson. With the outbreak of World War II, the plans were shelved. However, Crockerâs vision of a tramway to scale those cliffs to the coolness of the San Jacinto Mountains never died. Years after the original plans were shelved, they were dusted off and the battle begun anew.In 1945, a new tram bill was passed and Governor Earl Warren signed the measure creating the Mount San Jacinto Winter Park Authority. Coffman, who had labored long and hard to see the vision realized, was named the Authorityâs first chairman and Crocker was named the first secretary. By 1950, technicians were moving ahead on designs for the tramway, spending more than $250,000 solving riddles of road and tower construction. Funds for the construction of the Tramway were raised by the sale of $8.15 million in private revenue bonds. Culver Nichols, who donated the land for the Valley Station and parking lots, helped stretch the funds raised. Not one cent of public funds were used for either the construction or operation of the tramway. The 35-year bonds were successfully paid off in 1996. The Korean War was to cause another delay, but the ambitious project began to take form in July 1961. Construction of the Tramway was an engineering challenge and was soon labeled the âeighth wonder of the world.â The superlative was earned because of the ingenious use of helicopters in erecting four of the five supporting towers. Twenty-years later, the Tramway was designated an historical civil engineering landmark. The first tower is the only one that can be reached by road. The helicopters flew some 23,000 missions during the 26 months of construction, hauling men and materials needed to erect the four other towers and the 35,000 sq. ft. Mountain Station. Francis Crockerâs dream was completed in 1963; the inaugural ride occurred on September 12th of that year with local and state dignitaries and celebrities on hand. Crocker rode the Tramway numerous times and fellow passengers often would receive a narration from him as they rode up to âwhere it was nice and cool.â Francis Crocker died in 1992. In 1998 the Tramway announced that it was embarking on an ambitious modernization program that would see the construction and installation in 2000 of new cars and updating of its facilities. Beginning in September 2000, passengers rode the worldâs largest rotating tramcars constructed. A unique zoo and botanical garden that specializes in the deserts of the world. Giraffes, mountain lions, zebras, and cheetahs are just a few of the incredible animals that take you from Africa to North America. The Living Desertâs mission is desert conservation through preservation, education and appreciation. and to foster through cooperative research and educational programs, biological studies contributing to the protection of desert species in a wild state. We are a non-profit, 501c3 (exempt from taxation) organization with a volunteer Board of Trustees (40), and a paid CEO/President. 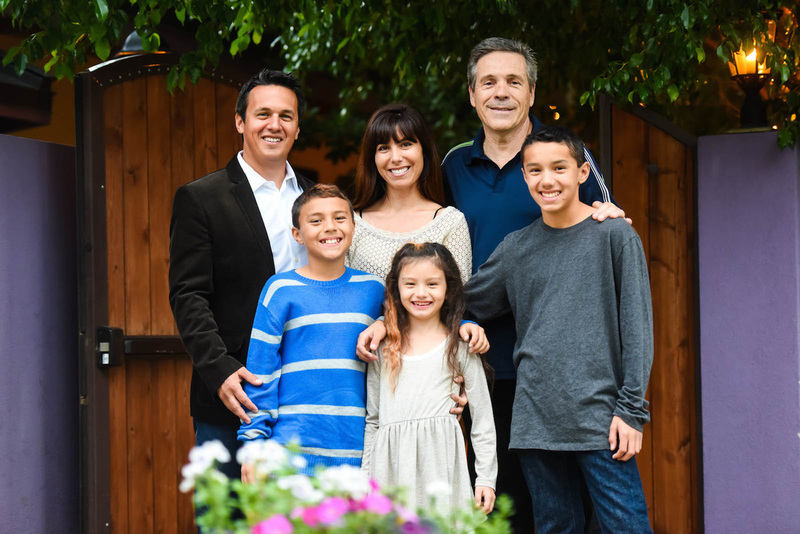 The Living Desertâs Board of Trustees is made up of business and community leaders who work with the organization to secure gifts for capital, programming and endowment expansion. 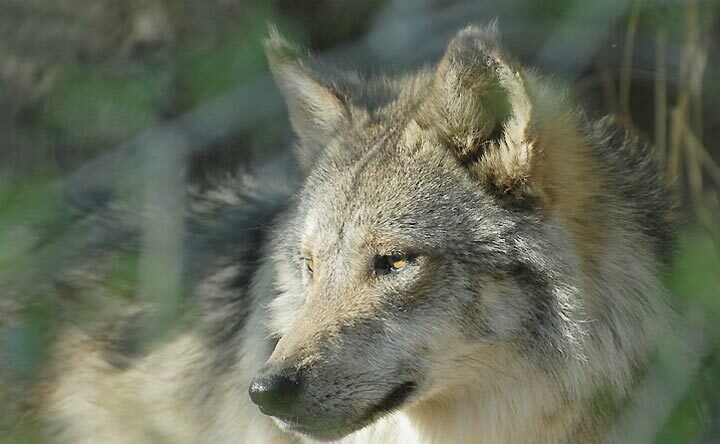 Its purpose is to support and enhance zoological programs by providing facilities, funds and advice. The President and the Trustees oversee the Zoo Endowment which helps to provide long-term stability for The Living Desert. Where children and parents can learn and discover over 60 hands-on activities together, including Build Your Own Race Car, Lie Detector, Crack the Safe, Vet Pet Station, Paint the Car, and so much more. 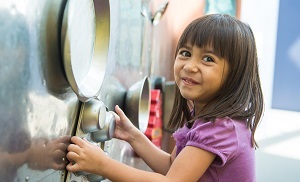 The Children's Discovery Museum of the Desert is a valuable community resource for children and families to experience the joy of learning about themselves and the world around them. The museum inspires personal growth by engaging curiosity and creativity through hands-on explorations of exhibits and programs. We value being a place that nurtures thoughtful, hands-on learning in a creative and engaging environment that celebrates learning as an innately joyful activity. We value being a place where multigenerational family members can grow their relationships through comfortably exploring, sharing and learning together. We value being a community resource and a welcoming place where people of all ages and backgrounds can come together to share experiences while learning about themselves and our world. Every amateur athlete's dream. Replicas of Wrigley Field, Yankee Stadium, and Fenway Park. Indoor and outdoor soccer, sand volleyball, batting cages, horseshoe pits, restaurant, bar, and covered inline hockey facility. f you've ever dreamed of playing in a big league ballpark, Big League Dreams Sports Parks are the place for you. 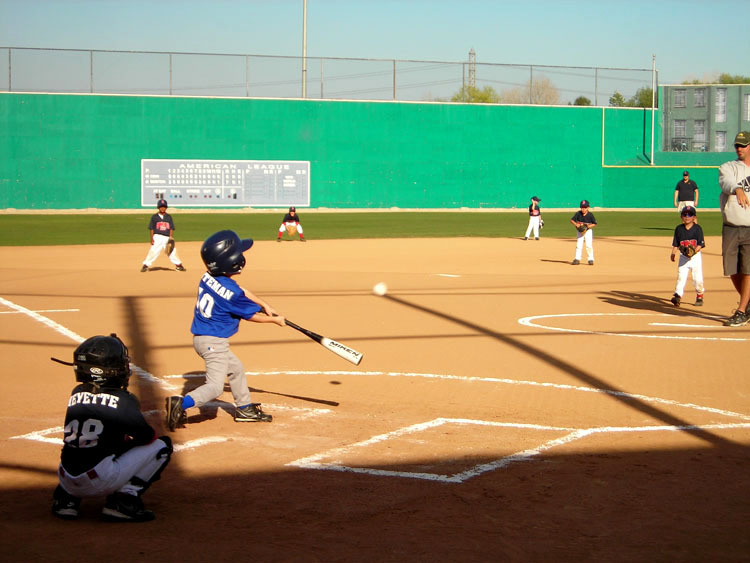 Our playing fields are built as scaled-down replicas of famous ballparks such as Boston's Fenway Park, New York's Yankee Stadium and Chicago's Wrigley Field. All are designed to accommodate youth baseball, youth fast pitch softball, and adult slow pitch softball. Not a baseball or softball fan? Big League Dreams offers indoor soccer leagues in our 20,000 sq. ft. indoor pavilion. We also offer special events such as company softball tournaments, company picnics, birthday parties, location shoots, business meetings and even weddings & receptions! You've dreamed about it your whole life! Now is your chance -- Welcome to the Big Leagues! Indian Canyons in Palm Springs consists of Palm Canyon, Andreas Canyon and Murray Canyon. Palm Canyon offers hikers a moderately graded foot path that leads down to a stream perfect for picnicking. The North Course was designed by William F. Bell, son of famed golf course architect William P. Bell. The longer of the two courses at Indian Canyons, the par-72 North plays 6,943 yards and features stunning mountain views and unique, mid century modern homes, several of which were originally owned by Walt Disney. Of the six water hazards on the course, the most notable is the lake between the 9th and 18th holes that is home to the famous Disney fountain, which to this day shoots water over 100 feet into the air. 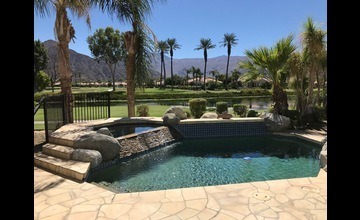 Set in Palm Springsâ âCanyonâ district and surrounded on three sides by the San Jacinto mountains, you can count on a pleasant, wind-free round of golf. An entirely different and distinctive round awaits on the South Course. In 2004, architect Casey OâCallahan remodeled the 6,582-yard layout with player consultant, LPGA legend Amy Alcott, who has helped make the South an area womenâs favorite from the 4,878-yard forward tees. This scenic course is home to four ponds and 850 palm trees. Also, 500 Washingtonia Filifera, a cherished tree of the Agua Caliente Native American tribe, are abundant throughout the course. Golfers will particularly enjoy the Southâs five par 5âs to take on during the round. 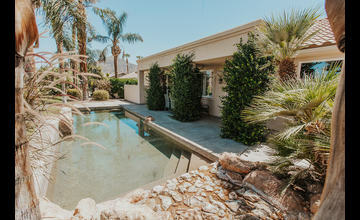 Once considered a hidden gem off the beaten path to Coachella Valley visitors, today, Indian Canyons can be found right in the heart of the all the action in Palm Springs. 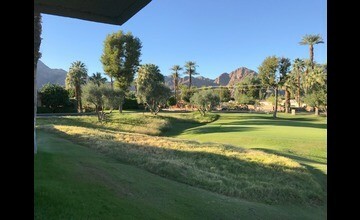 Indian Canyons is 20 minutes from Palm Springs International Airport and only 10 minutes south from downtown Palm Springs.Following a round at either course, golfers can enjoy dinner and drinks inÂ the South clubhouse while enjoying panoramic views of the surrounding San Jacinto mountains. 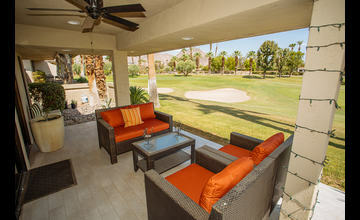 Indian Canyons Golf Resort is owned and managed by the Agua Caliente Band Of Cahuilla Indians. Todd Connelly is the General Manager. In 1948, Sidney and Josephine Riesner came to La Quinta, California from New York to practice dentistry. They bought five lots on a tree-lined street called Calle Barcelona and built their beautiful home.Â They opened offices in Indio as Orthodontists, and joined the La Quinta Chamber of Commerce and the La Quinta Property Owners Association respectively.Â Josephine became a member of the âFire Bellesâ, an auxiliary of the La Quinta Fire Department.Â After her husband Sidney passed away, her constant companion was âBuffyâ her French poodle.Â Josephine Riesner died on October 28, 1987 at the age of 86. La Quinta is very proud to have the beautiful and popular Lavender Bistro in the community, adding not only an exceptional restaurant with exquisite cuisine matched with attentive service, but also adhering to the past tradition of family ownership to La Quintaâs exceptional culture and history. Your desert retreat is made complete by a stay in our hacienda-style rooms. 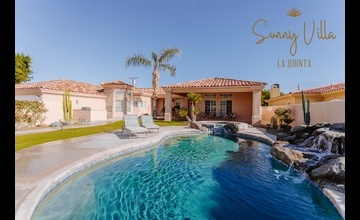 From cozy casitas to spacious villas, all rooms are surrounded by lush gardens, sparkling pools and waterfalls. Families will love our exciting Kids Programs and pets are also welcome, with unique services such as a bone on arrival and a pet spa. After a long day basking in the California sunshine, enjoy a flame-grilled burger or Mexican dish in one of our restaurants. With live music on the open-air plaza and hand-crafted signature cocktails, youâll party the night away. Just twenty minutes from Palm Springs International Airport, discover the Indian Wells Golf Resort, Southern Californiaâs premier golf destination. Among its many accolades, the Indian Wells Golf Resort holds the distinction of being the only 36-hole public golf facility on Golfweekâs Top 20 "Best Courses You Can Play" in California. The transformation is now complete and a world-class golf experience awaits you. Clive Clarkâs Celebrity Course opened to rave reviews in November of 2006, served as the site of the 25th Anniversary LG Skins Game in 2007, and again in 2008. Playability, diversity, and challenge are among the highlights of this desert masterpiece, which features breathtaking mountain views, stunning water features, and an unparalleled golf outing for players of every level. John Foughtâs Players Course opened to great acclaim in November of 2007. A brilliant contrast to the Celebrity Course, the Players Course features dynamic bunkering and generous fairway corridors â a fascinating combination to challenge all types of players. Fought also created the IW Putting Course, a lighted, 9-hole, natural grass putting course. The Indian Wells Golf Resort, an extraordinary 53,000-square-foot clubhouse, offers a wide range of upscale amenities to complement your Indian Wells golf experience. 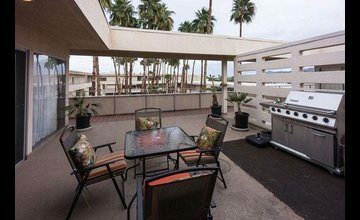 Indian Wells Golf Resort is located within walking distance of all four Indian Wells luxury hotels and is an ideal venue to host any tournament, special event, corporate function, and group outing. NO use of Classic Clubâs facilities to garner the needed information (Internet, fax, etc). 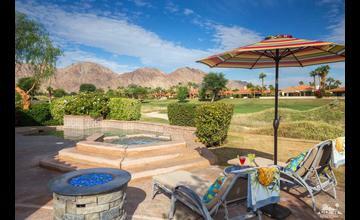 Rancho Mirage boasts world-class resorts, including the Valleyâs only five-star lodging property, The Ritz-Carlton. 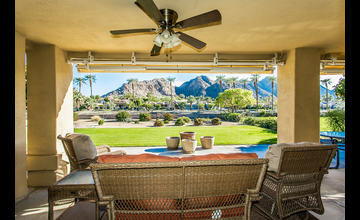 The Omni Rancho Las Palmas Resort is a favored destination for successful Hollywood business leaders and their families. 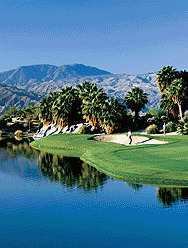 The Westin Mission Hills Golf Resort & Spa, with its spectacular views of the snow-capped San Jacinto Mountains and superb golf courses, is adjacent to the Mission Hills Country Club, the home to the premier ladies professional golf tournament, the ANA Inspiration (formerly the Kraft Nabisco Championship) for over 40 years. Agua Caliente Resort Spa offers round the clock gaming and âThe Showâ, a 2,000-seat premier concert venue that attracts headliner acts that add sizzle to the generally quiet desert enclave with a year-round population of about 17,889. Coming soon is the newly remodeled Rancho Mirage Community Park with the addition of a 600-seat outdoor amphitheater! Not only will the park remain the venue for the Cityâs signature event, our Annual Art Affaire, it will also host a variety of entertainment throughout the year for residents and visitors to enjoy. What could be better than an outdoor concert under our beautiful desert night sky? 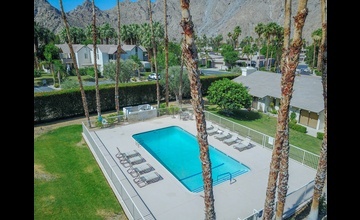 Rancho Mirage is fortunate to be the home to institutions like Eisenhower Medical Center, The Betty Ford Center and the Barbara Sinatra Childrenâs Center â all world-renowned health facilities. The Tolerance Education Center, the Childrenâs Discovery Museum of the Desert and the Braille Institute deliver programs and services that rival those in any major city. Sunnylands has become the âCamp David of the Westâ with two U.S. Presidential meetings being held at the estate over the last two years. Sunnylandsâ Gardens and Visitor Center as well as the Estate home of the Ambassadors Walter and Leonora Annenberg, have become major attractions in recent years attracting visitors from around the world. Rancho Mirage High School, home of the âRattlersâ, will graduate its first senior class in 2016. 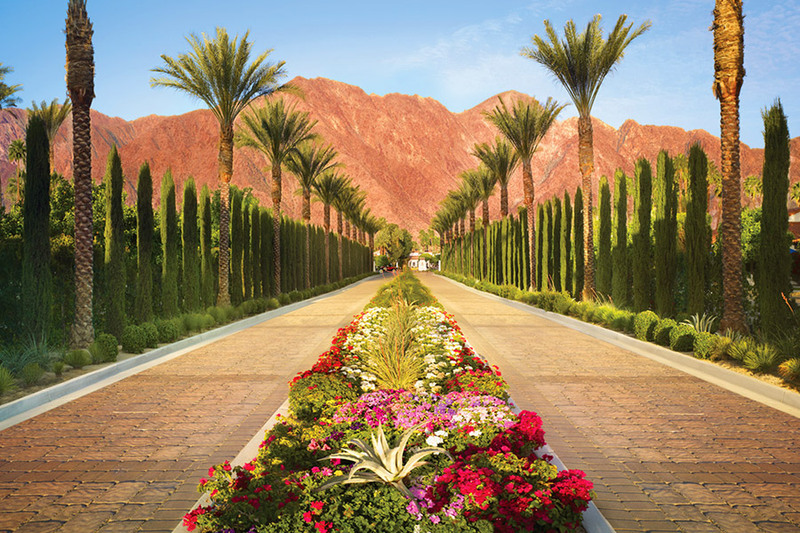 Rancho Mirage promises the seasoned traveler, as well as its residents, the perfect combination of luxury, value and access to some of North Americaâs finest golf, spa and dining experiences right in the Heart of the Palm Springs Valley. 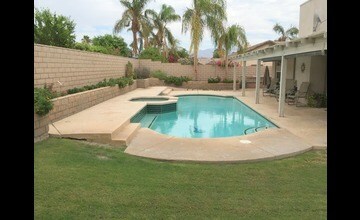 Rancho Mirage is a special community. Once you visit, you wonât want to leave. The Cahuilla Indians were the original inhabitants of Cathedral City. 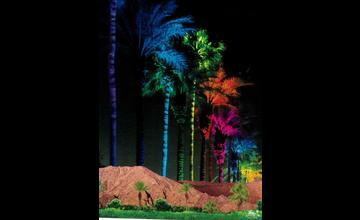 They lived throughout the Coachella Valley for more than two thousand years. In 1876 the Agua Caliente Band of Cahuilla Indians established their reservation, which encompasses approximately 28% of Cathedral City. The Fountain of Life was designed by artist Jennifer Johnson in coordination with architect Reuel Young, A.I.A. 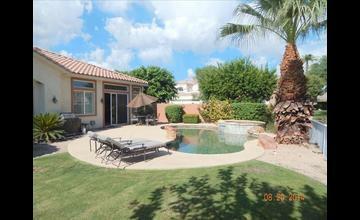 House of Stone and Fountains and Landscape Enhancements built it. Artisans whose families have sculpted stone for more than 600 years carved the fountain pieces out of adoquin stone from a quarry near Guadalajara, Jalisco, Mexico. Once the individual pieces arrived in the desert, Johnson spent more than a year adorning the fountain with hand cut mosaic tiles and glass. Reflecting the nature and history of the desert, the fountain features three central stone columns surrounded by sculptures of big horn sheep, lizards, tortoises, fishes, shells, wildflowers, birds and other creatures found in the area both now and in the past. The rooster and hen represent the importance of family in both the Anglo and Latino cultures. A Cahuilla basket embedded in the stone pays tribute to the Agua Caliente Band of Cahuilla Indians, whose gift of the soft surface enhances safety for children of the desert. Buddy and Beverly Rogers became the fountain's first major donors with a gift that launched the project. The overriding theme found in the fountain's design is the spiral; a symbol of continuous birth and ever-upward rejuvenation, the essence of the process Cathedral City is involved with downtown. The spiral appears in the underlying floor, the large basins, atop the shade structure, in the horns of the bighorn sheep and in the form of the sofa seating area. Within the fountain, the large scepter-like form suggests Cathedral City's movement toward becoming the monarch of cities in the valley. The unfurled acanthus leaves atop the Corinthian column reflect the classical design of the new Civic Center, while the asymmetry of the fountain balances the building's strict symmetry. The fountain's tri-color soft surface is made of ground-recycled tires, creating a supple foundation that is becoming the accepted standard in children's public play areas. Not only an artistic achievement, the fountain also represents an engineering feat. The central columns are designed with steel rod irons to withstand seismic events. In fact, each stone piece, anchored to its own concrete pad, is tied to a central reinforced concrete cone that sits on a concrete base five feet deep by 17 ' x 12'. Before transport across the border, each stone piece was individually numbered, to facilitate assembly within the fountain here. The fountain is designed as a recirculating system. Water flows between a 2,000-gallon surge tank and the fountain. The underground tank contains two 5.5 h.p. Pumps with a capacity of 450 g.p.m. The pumps process the water through a manifold for distribution among nozzles for 32 separate fountain features. Each nozzle is adjusted for quantity and pressure, which affect the height of the sprays. Another underground vault houses the electrical, plumbing and mechanical equipment. Water filter and bromine treatment systems are designed to keep the water pure and minimize calcium build up that could dull the brilliance of the tiles. The fountain's lighting system contains three components -- low voltage lights mounted on the wooden trellises that provide overall lighting, special 300-watt lights submersed in water (to avoid overheating) that illuminate the bowls, and a fiber optics system of 29 computer operated lights that can be adjusted for color, brightness and timing. A video camera linked to the Police Department's dispatch room enhances security in the fountain area. 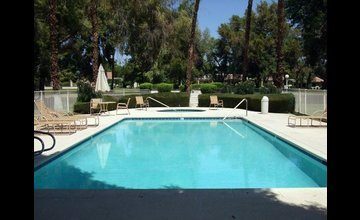 Except for occasional closures for maintenance, the Fountain of Life will be on all the time for the enjoyment of residents and visitors alike, and particularly the children of Cathedral City. Golf courses have a secure place in the history of public parks and recreation facilities, but it took the City of Palm Desert to truly bring public golf to a place of prominence. Desert Willow Golf Resort began with a plan that embraced the desert landscape and respected the fragility of natural resources necessary to maintain the course.Â When the City hired the design team of Dr. Michael Hurdzan, Dana Fry and then desert resident and PGA Tour Professional, John Cook, it was solidified that Desert Willow was going to be special.Â With Eric Johnson, a local landscape architect, they thoughtfully developed a plant palette that would make Desert Willow environmentally sensitive, unique, and picturesque, while integrating this with an exceptional golf course design. The Firecliff golf course opened in 1997 and was named for the supper club owned by early Palm Desert residents, Leonard Firestone and Clifford Henderson.Â It opened with great fanfare when residents were treated to a grand opening tournament with President GeraldÂ Ford. The entire golf resort experience begins with the mile-long approach that sets the stage for what is about to unfold.Â Entering the clubhouse, one can appreciate the design, flow and function, whether golfing or attending a private function.Â The attention to detail and consideration for the guest is the single element that completes the experience, whether it is a round of golf, tournament play, a lesson, lunch or a special event. 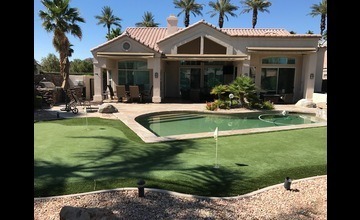 Over ten years ago, the first round of golf was played at Desert Willow Golf Resort and the dream was accomplished.Â Palm Desert residents have a world-renown home course and thousands of golfers visiting the California desert seek out Desert Willow as the place to play. 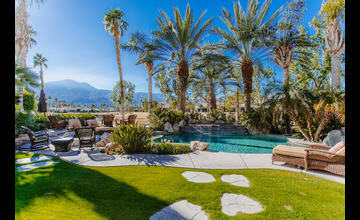 Palm Desert is the geographic center of the Coachella Valley, a fast-growing region of Southern California. 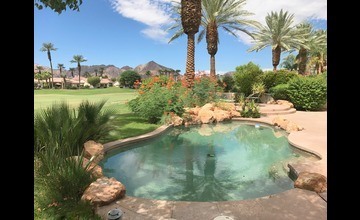 Palm Desert has evolved into a vibrant city that today is the educational, retail, and cultural hub of the Valley and one of itsÂ most desirable places to live. More than 50,000 year-round residents, from young working families to baby boomer professionals to retirees, have made it their home and for good reason. 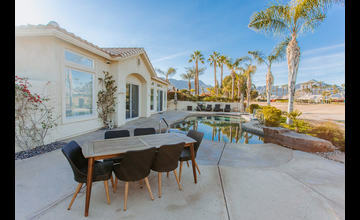 Exceptional educational resources including a wide variety ofÂ Schools and Colleges are located in Palm Desert. From preschool to postgraduate, public to private, it is all available within the City. A complete list ofÂ UtilityÂ companies servicing the Palm Desert is also available online. The City of Palm DesertÂ keeps its residents and businesses up-to-date withÂ a newsletter, The Brightside that is distributed throughout the community every other month.Â The newsletter featuresÂ information on events, local news, andÂ CityÂ highlights.Â It includesÂ several pages of Community Information providing easy access to phone numbers,Â classes, events, andÂ community offerings. There is no need to miss a single issue of The Brightside.Â The latest edition is available online.Â You may also viewÂ special editions including those onÂ Earthquake SafetyÂ and Energy Conservation.